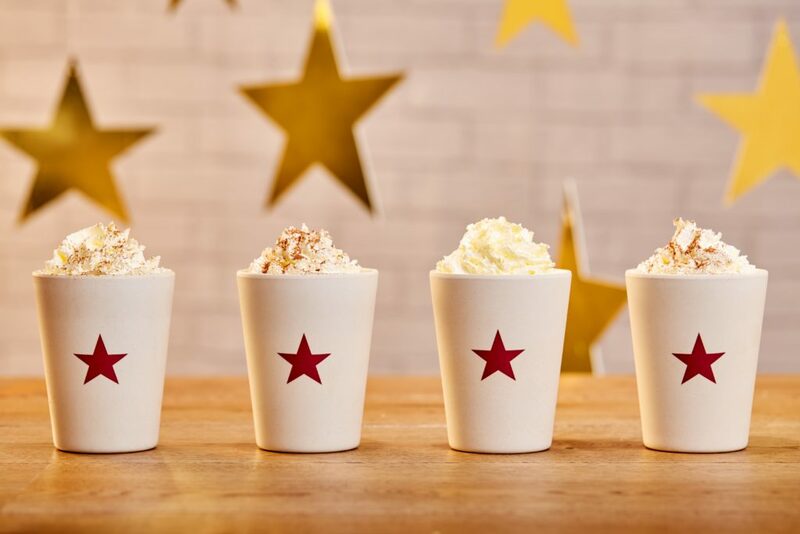 Pret’s much anticipated Christmas menu is now making a welcome return, and available in stores nationwide. The sandwiches, like last year, are back by popular demand along with new hot drinks and Christmassy bites. 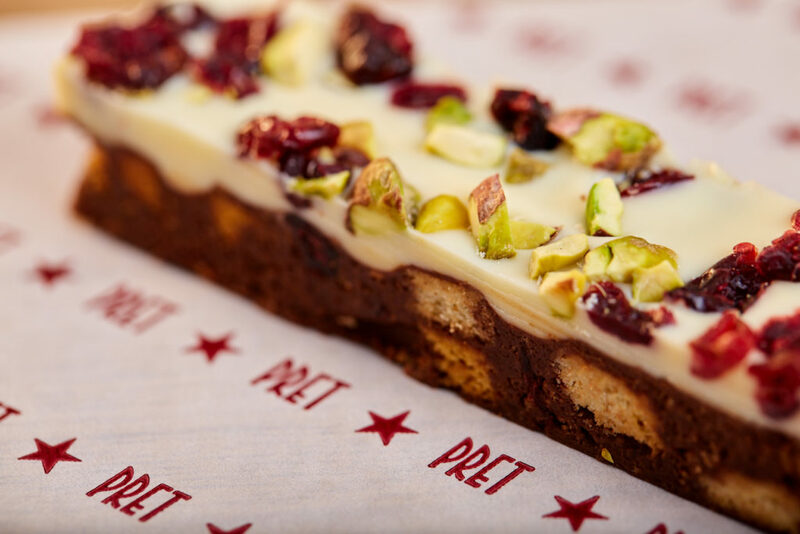 For every Christmas sandwich and baguette sold, 50p will be donated towards the Pret Foundation Trust (PFT) to continue its work helping to alleviate homelessness. 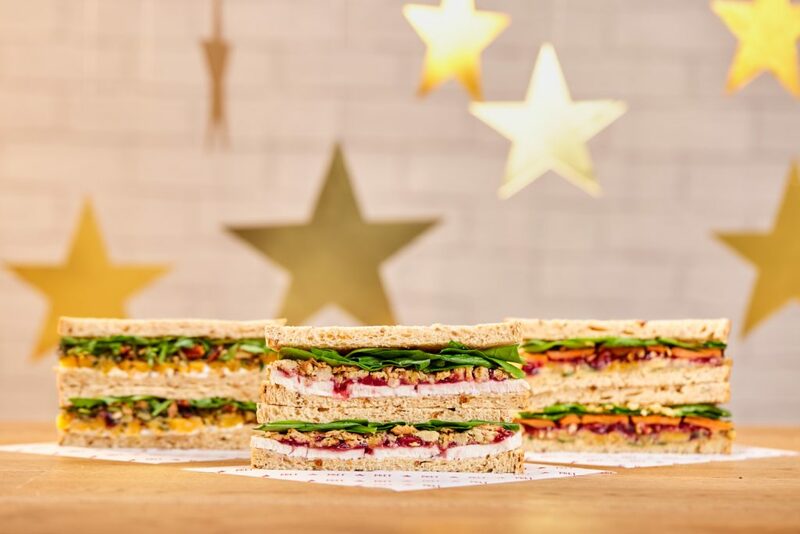 The Pret Christmas Lunch is back, with thick slices of free-range turkey layered with port and orange cranberry sauce, herby pork stuffing and baby spinach leaves. Finished with a dab of mayo and a sprinkle of crispy onions. Combining roasted butternut squash, peppery rocket and Christmas pesto made with pine nuts, chestnuts, pumpkin seeds, sunflower seeds, parsley and rosemary. Served with a spoonful of yoghurt and mayo dressing and a sprinkling of crispy onions. Grilled carrots, crispy onions and baby spinach with Pret’s festive vegan stuffing and port and orange cranberry sauce. Finished with caramelised pecans for an added Christmas crunch. Pret’s famous Christmas Lunch recipe in a stone baked baguette. Layered with free-range turkey, port and orange cranberry sauce, herby pork stuffing and baby spinach. Finished with a dab of mayo. Three slices of delicately flavoured French Brie on Pret’s stone baked baguette. Served with port and orange cranberry sauce, toasted pistachios and a handful of wild rocket. 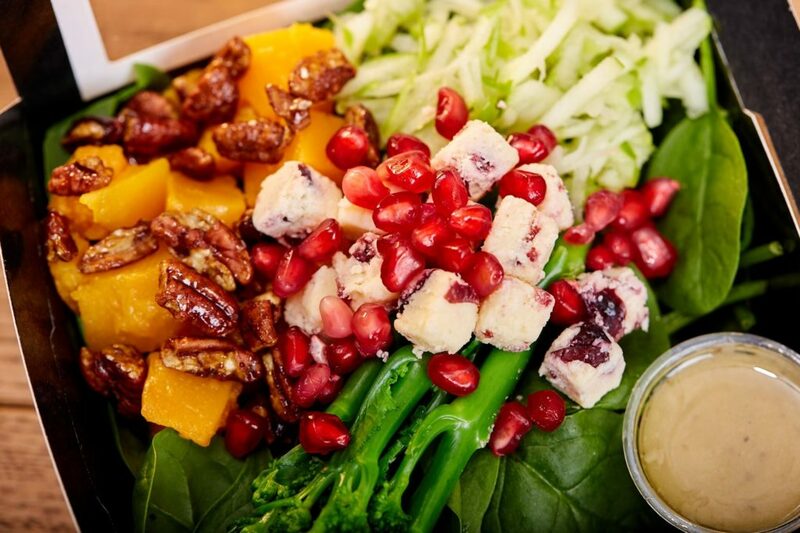 Pret has combined classic Christmas flavours to create this festive salad. Shredded apple, butternut squash, broccoli and spinach are topped with Wensleydale & cranberry cheese, caramelised pecans and fresh pomegranate seeds. A seasonal ginger and orange cookie with a mincemeat middle. Bramley apple is combined with the mincemeat for added texture and flavour. Topped with a dusting of icing sugar. 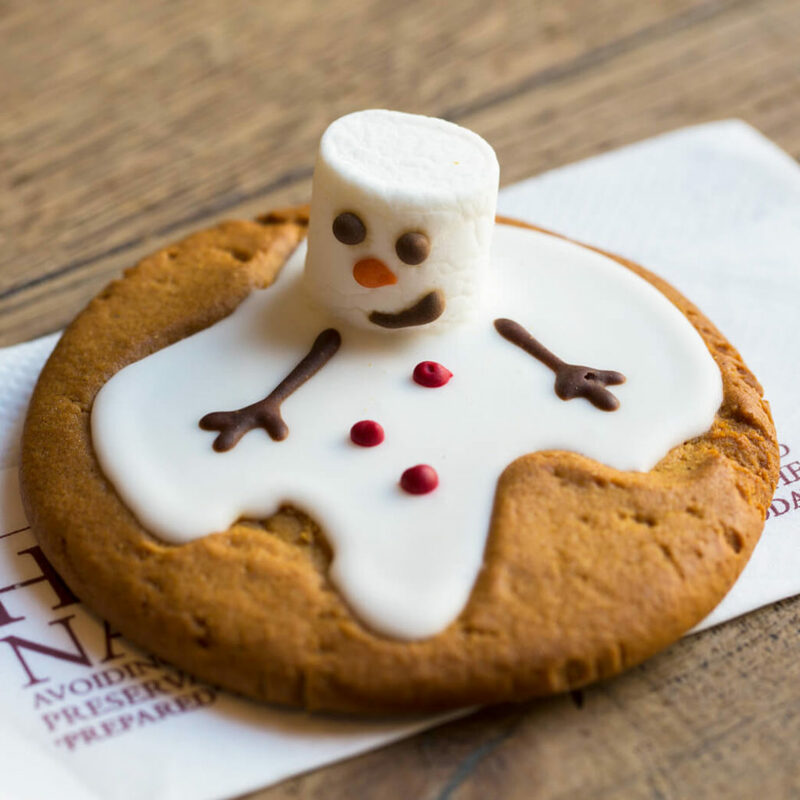 When Godfrey and Annie go for their winter break, Melvin, Pret’s melting snowman, takes their place. A delicious gingerbread biscuit topped with icing, jelly sweets and a marshmallow head. 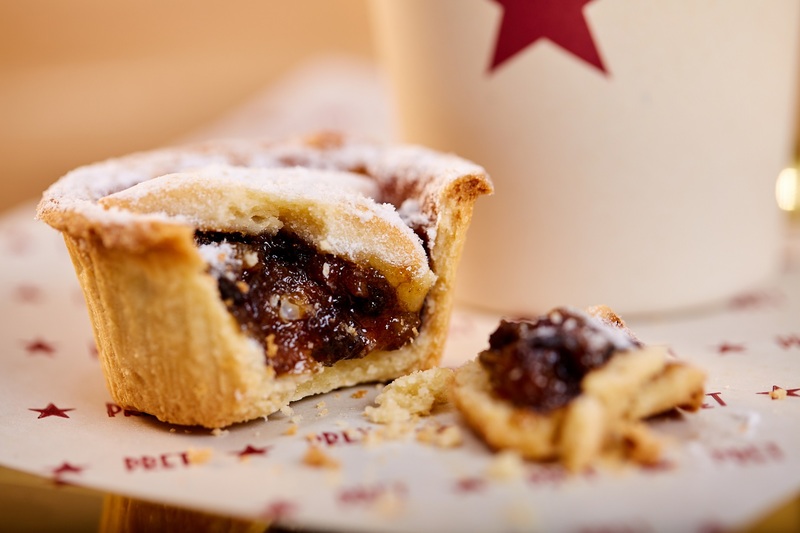 Handmade in Yorkshire by specialist bakers, Pret’s Mince Pies are made in small batches using a traditional all-butter pastry recipe. Bramley apple is combined with the mincemeat for added texture and flavour. 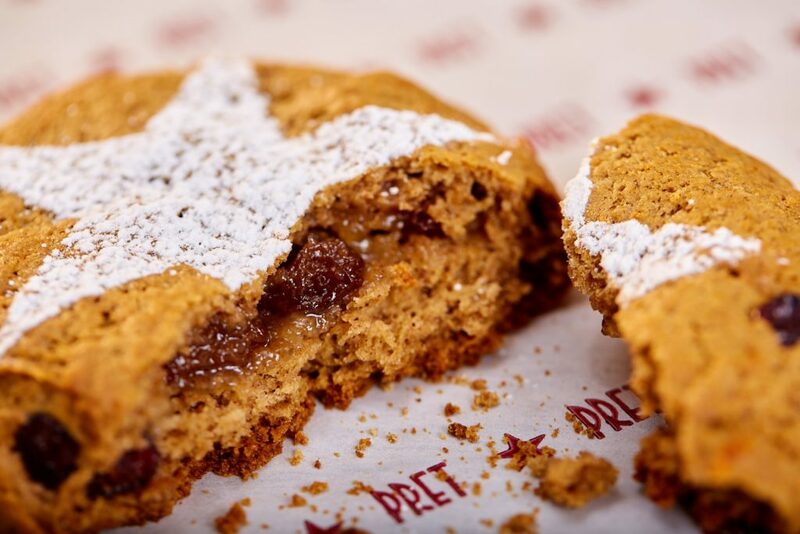 Topped with a Pret star and a dusting of icing sugar. Pret’s organic latte with the warming flavour of gingerbread. Topped with whipped cream and a dusting of cinnamon. Available with milk, soya or rice-coconut milk alternative – and those who bring in a reusable cup will be able to enjoy 50p off. (Rice-coconut milk is an extra 35p). 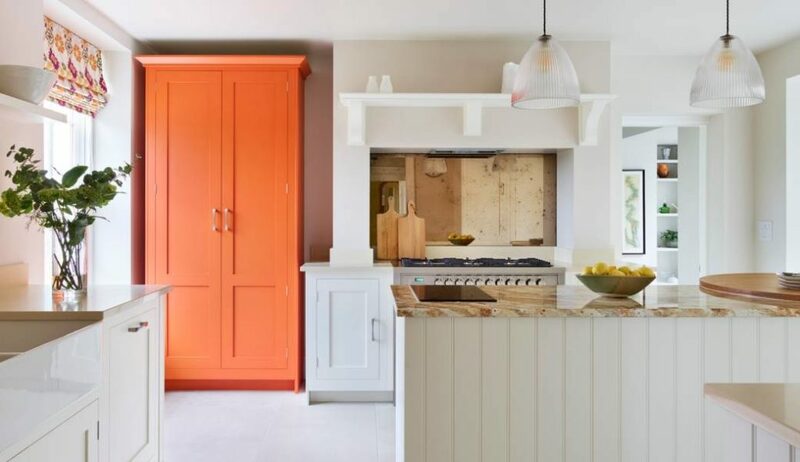 A chocolaty-orange Christmas treat. Pret’s oganic hot chocolate with a shot of orange, finished with a swirl of whipped cream and a dusting of chocolate powder. Available with milk, soya or rice-coconut milk alternative – and those who bring in a reusable cup will be able to enjoy 50p off. (Rice-coconut milk is an extra 35p).